Study the complexities of international law and prepare for a global legal career. Taught by inspiring, world-leading academics, you’ll gain the skills and knowledge to advance in areas such as international development, international commerce, or international security. With trade, politics and culture becoming increasingly globalised, a critical understanding of international law has never been more relevant. This highly flexible LLM programme gives you the opportunity to focus on aspects of international law that interest you, enabling you to provide legal advice with a transnational perspective in areas such as corporate structures, law of the sea, international regulation of the internet, or commercial conflicts of law. Studying within a diverse, supportive law school community, you’ll learn from renowned academics who, through their involvement in high-profile law reform and advisory work, ensure the course reflects the latest legal developments. The challenging curriculum is designed to sharpen your intellect and encourage independent thinking, with small-group teaching and plenty of support to ensure you achieve your potential. We will also help you to maximise your employability through our strong links with the legal profession and extensive career development opportunities. You’ll graduate with specialist knowledge that will set you apart from the competition, whether you choose to go into private practice, or enter the public, commercial or diplomatic sector. Our LLM in International Law is an exceptional opportunity for professional development for those working in, or seeking to move into, specialist areas of international law. We welcome applications from recent law graduates and those with some professional experience who are looking to develop their career. We offer an exciting and supportive learning environment. You’ll be welcomed into a diverse, international postgraduate community, developing a global network of friends and contacts that will benefit you for years to come. This course is available either full time (one year) or part time (two years). You’ll be required to complete a dissertation and take four taught modules (or the equivalent in modules and half modules), which you can choose from an extensive range. The programme starts with an intensive, one-week introductory course on common law. This ensures that students from different jurisdictions and countries understand the workings of this important legal system. The dissertation is another opportunity to tailor the course to suit your interests and work towards your career aims. You’ll be able to choose an international law topic that inspires you for a piece of in-depth, independent research. In the process you’ll develop a specialism that will impress potential employers. You’ll receive guidance and support throughout the dissertation process from an academic supervisor. You’ll be taught by academics who are involved in shaping the laws of the future through consultancy and law reform work at national and international level. They bring the latest legal thinking to your course. Dr Eleonora Rosati, a specialist in copyright, trademark, intellectual property (IP) and internet law issues. She is an editor of the Journal of Intellectual Property Law and Practice, and a Door Tenant at a specialist IP set in London. Before joining academia she worked in the London and Milan IP departments of international law firm Bird & Bird LLP. Dr Johanna Hjalmarsson, whose areas of expertise include insurance law, maritime and commercial law, and dispute resolution. Before coming to Southampton, Johanna specialised in law reform, spending several years with the United Nations and the Office of the High Representative in Bosnia and Herzegovina. She contributes to and edits numerous law publications, including co-editing Lloyd’s Law Reporter. Professor Andrew Serdy, a renowned expert in international maritime law. He has contributed to and advised on Australian and Canadian government submissions to the United Nations (UN) Commission on the Limits of the Continental Shelf and co-authored a report on the UN fish stocks agreement for the Fisheries Committee of the European Parliament. Professor Paul Todd has taught and published widely in the areas of international trade law and carriage of goods by sea, with expertise in international commercial sales and international arbitration law. His most recent publications include papers on Hague Rules and burden of proof, and the revision of the New York Produce Exchange. You’ll benefit from talks and seminars organised by these centres, where you can find about the latest research being conducted within the Law School and at other institutions, and hear about industry perspectives on current legal issues. Our strong links with international and local law firms, the judiciary, businesses and government agencies mean we can provide numerous opportunities to gain professional insights and improve your career prospects. Guest lecturers are a feature across our modules. Recent speakers have included representatives from top law firms, global corporations, major banks and insurance companies, P&I (protection and indemnity) clubs, ship brokers, classification societies, and the UK government Foreign and Commonwealth Office. We are highly regarded by the legal profession, enabling us to attract eminent figures to speak at special events – one recent example is Lord Neuberger, President of the UK Supreme Court. We are regularly approached by companies and law firms seeking to recruit our students for internships or graduate roles. We offer prizes, sponsored by businesses and law firms, for high-performing LLM students on some modules. These can help winning students stand out from their peers in the job market. Some prizes take the form of work placements, offering invaluable professional experience. Gain an in-depth understanding of international law and prepare for a global career in commercial or public law. Build a course that suits your interests by choosing from a range of modules on topics such as international trade law, international law of the sea, international commercial arbitration and global copyright and trademark law. Taught by renowned academics, including the authors of key law text books. Includes a unique module on the law and practice of carriage by air, which is not available on any other UK masters course. An intensive introductory course on common law provides the essential foundations for your studies. Join a community of like minds and develop a global network of contacts that will be invaluable as your career progresses. The Research Excellence Framework 2014 rated 100 per cent of our research as world leading or internationally excellent for the research environment we provide to staff and students. The Southampton pre-Masters can be taken if you have qualifications or grades that do not meet University of Southampton direct entry criteria but meet the minimum entry criteria for the pre-Masters. You will be guaranteed a place on your chosen masters degree programme subject to successfully completing the pre-Masters. Visit our pre-Masters Programme to find out more about these degree programmes. An Upper Second Class Bachelors Degree in Law (or a degree with a substantial legal component) is normally required, but account may also be taken of practical work experience or professional qualifications within the relevant field of study. We welcome applications from international students. Mature applicants without formal qualifications but relevant work experience are also encouraged to apply. Access to the internet, Word Processor (MS Word compatible) and an email address are also required; webcams desirable. Students are required to complete 180 CATS. 60 CATS is awarded for the LLM dissertation. Students are therefore free to choose modules in total completing 120 CATS. For instance, a student who selects 4 modules of 30 CATS will complete the required taught modules. You’ll also be able to take advantage of a range of careers-related activities run by the School’s student-run law societies. With specialist legal knowledge and exceptional critical, analytical and communication skills, you’ll be well equipped to succeed in your chosen area of law when you graduate. You could work for an international law firm advising public or private sector clients, or go into specialist areas such as international aid and development, international relations, or international security. You’ll also be well placed to enter a range of other sectors in which a broad understanding of international law is an advantage, including central government, journalism, international business and academia. Much of the course is delivered through small-group teaching, giving you an unrivalled opportunity to analyse your chosen topics in depth and put your learning into practice. Seminars and tutorials are usually structured around facts or issues relating to a particular case, or a relevant piece of research. You may be asked to explore these by preparing a presentation or arguing a case in a moot, as well as through in-class discussion. Practical work is incorporated into the modules. For example you might be involved in preparing a response to a public consultation, or examining the legal implications raised by a new convention and drafting a clause to tackle potential problems. These activities are designed to develop your legal understanding but also transferable skills such as team working, communication, critical appraisal and logical reasoning. Working with a diverse student group also means you’ll gain insights into other cultures and professional practices – invaluable for an international career. You’ll receive feedback on your work in class throughout the course, helping you to identify strengths and areas for improvement. Formal assessment will vary depending on the modules you choose, but will include exams and coursework as well as your dissertation. The LLM Challenge is an additional opportunity to practise your advocacy, communication teamwork and research skills. Students across all LLM pathways are assigned to teams and given a current topic to debate, competing for a small monetary prize. 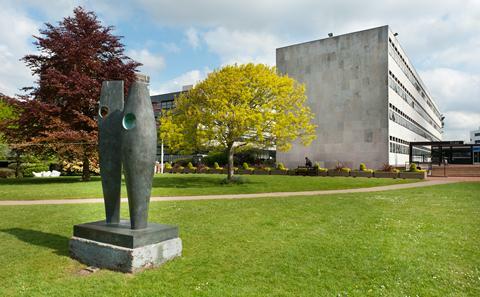 Southampton Law School has a friendly, diverse postgraduate community with a supportive culture. The fact that we are a relatively small school means we can get to know our students well and provide tailored support to help them realise their potential. Every student is allocated a personal academic tutor who can advise on course-related or personal matters. Your module tutors will also be available to offer guidance on subject-specific queries. In addition, the University offers a range of language, academic, visa or welfare services should you need them.